The concept that sticks with me, like a splinter, is the concept of ‘belonging’ and the relationship between belonging and labelling. It is considered stigmatising and traumatic to label people, especially with psychiatric and developmental terms that have a medical origin. At the same time, labels are the symbols that identify communities of belonging. The term that came into my mind as I watched the documentary was, bizarrely, ‘My People’. Mark Haddon has made the choice never to label Christopher John Francis Boone with a psychiatric or developmental condition – one of the articles I constantly reference is “Mark Haddon – don’t use Curious Incident… as an autism ‘textbook'” in The Telegraph (http://www.telegraph.co.uk/culture/culturenews/9311242/Mark-Haddon-dont-use-Curious-Incident…-as-an-autism-textbook.html). The terms ‘autism’ and ‘Asperger’ do not occur once in the text of the book or (so far as I know, but I don’t have a searchable copy) anywhere in the play of “The Curious Incident of the Dog in the Night-Time”, although everyone reading or watching ‘knows’ that this is his diagnosis (or at least one of them) and assume that the book and play are ‘about autism’. The dustjackets and publicity material produced by the publishers and play’s promoters priminently describe Christopher as having Asperger syndrome, being autistic and being on the autistic spectrum. I personally find Mark Haddon’s position strong, effective and consistent. The best books are strong stories, not labels – my favourite books ‘about autism’ (http://wordpress.stuartneilson.com/fiction-about-autism) include “The Curious Incident of the Dog in the Night-Time” by Mark Haddon, “The Rosie Project” by Graeme Simsion, “The London Eye Mystery” by Siobhan Dowd, “The Girl with the Dragon Tattoo” by Stieg Larsson, “Kiss Me First” by Lottie Moggach and “Extremely Loud and Incredibly Close” by Jonathan Safran Foer, none of which include the diagnosis of the central character. There are some excellent stories about belonging or oppression in which labels are the story, such as “Reclaiming the Sand” by A Meredith Walters and “M is for Autism” by the students of Limpsfield Grange School. Aggressive appropriation of labelling is an issue of growing importance in Young Adult fiction where a movement (composed predominantly of powerful members from included mainstream groups) are throwing labels into books in the name of empowerment and inclusivity, without actually empowering and including authors and actors from excluded groups. Mark Haddon’s narrative choice places Christopher in a delicate position in which he self-identifies as “a mathematician with behavioural problems”. Christopher seems quite aware that ‘behavioural problem’ is a euphemism for being different, and for the discomfort that his difference brings to others. Christopher is also aware that he does not ‘belong’ with the other, disparate behaviourally-disordered pupils at school or with the problem behaviour that he observes in his community. Thus Christopher is not a ‘Problem of that Ilk’, he is uniquely and exclusively ‘The Problem with No Ilk’. (In a similar vein, 1 Corinthians 13:2 is utterly transformed by inserting the single word ‘a’: “If I have the gift of prophecy and can fathom all mysteries and all knowledge, and if I have a faith that can move mountains, but do not have love, I am a nothing.” (NIV) – there is a total desolation in being the solitary, excluded ‘Problem without Belonging’, the ilk-less position that Christopher embodies. This is the strength in Mark Haddon’s choice to unlabel Christopher and create a character and a sense of isolation that is so real to so many of the readers of the 10 million copies of this book that have sold. Difference, loss and belonging are the essence of the strong story in “The Curious Incident of the Dog in the Night-Time”. 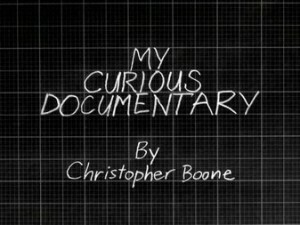 The documentary is an imaginative concept that takes the book (written in the voice of 15-year-old Christopher John Francis Boone), which became a stage play (narrated by his special needs teacher Siobhan) and creates a documentary written by Christopher about writing the book and staging the play. Of course, in reality, the documentary is directed by Adam Low, the play was written by Simon Stephens, directed by Marianne Elliott and starred Luke Treadaway to play the lead role, in the theatre production of a book written by Mark Haddon. All of these people, so far as I am aware, are neurotypical (so far as anyone is). The lack of an autistic voice in the writing, theatre production and documentary direction are significant – there are actors with autism (in fact it is one of the most popular pastimes of adults with autism), there are famous actors with autism and there are vocal autistic critics. The reaction has been stronger in Broadway where ASAN has staged protests against the neurotypical casting (http://howlround.com/inclusivity-and-the-curious-incident-of-the-dog-in-the-night-time), although that seems trivial when set against the small-minded book-banning attitudes that removed “Curious Incident of the Dog in the Night-Time” from one American school’s booklist (http://www.theguardian.com/books/2015/aug/12/curious-incident-of-the-dog-in-the-night-time-pulled-from-childrens-reading-list). 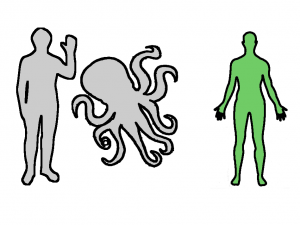 Whatever neurodiverse position the documentary team have, they have successfully drawn out an extended “exploration of being on the autistic spectrum”, including some fascinating segments with actually autistic people who were consulted on aspects of the production and contributed to the theatre production’s ethos. Like any documentary, it is ‘an’ and not ‘the’ exploration, none is the all-encompassing description of life with autism. I would like to see people with autism both represented in media (which they were) and in control of its production (which they were not), so this documentary is a creditable success – the next success will be a documentary exploring autistic life that is written, directed and features autistic people, but it would probably not be about this play or book. Central to the whole production is the sensory experience that dominates Christopher’s life and overloads his verbal connection with people. The sets, designed by Bunny Christie, generate a heightened sensory state that captures this non-verbal experience. One child told her class after the play “now you know what a crowd feels like for me”, and felt that they had truy learned something that could not be expressed in any textbook or awareness leaflet. When I was watching the documentary, I had a strong sense of connection with a number of characters, and little emotional connection with others. The stark contrast between some of the outgoing, gregarious, hyper-social theatre company and the reserved, self-contained quiet of the autistic subjects was moving. None of neurotypical people were, in the medical sense, ‘subjects’ of study – they were empowered and vocal. The autistic children, in contrast, were ‘subjects’ under the documentary microscope. They were also largely contained within the director’s script and prohibited from spontaneity and control over expressing what it means to be “on the autistic spectrum”. What is it about these children, who are nothing like each other, and nothing like me, that could draw out this sense of ‘belonging’? It is hard to quantify the amazing processing within the human brain and nervous system that control the overwhelming volume of information collected by our senses. Almost everything we ever see, hear, touch, smell or taste (not to mention internal and emotional sensing) is filtered, sorted, ordered and consciously perceived in a vastly reduced symbolic form (a ‘language’ of some sort). For comparison, 5 megabytes of computer storage will hold less than a minute of compressed video, a single image from a digital camera or several minutes of good quality stereo sound. The same space will hold the complete works of William Shakespeare – everything he ever wrote – which is enough symbolic material for many lifetimes of reading, study, contemplation and reinterpretation. The autistic brain never fully learns to filter out the sensory world, and living in the sensory stream rather than the symbolic stream is disorienting, overloading and isolating – even if I could share my sensory stream with another human, I would have no idea that the other person ‘gets’ the same meaning out of those uncountable megabytes of sensory flow. Bunny Christie’s stage set brings this sensory stream into conscious existence for the audience of the theatre production of “The Curious Incident of the Dog in the Night-Time”. It can be exhilarating and liberating to ‘just feel’ the non-verbal sensory stream, and it is the source of imagination and novel thinking. In Eugen Bleuler’s original use of the term ‘autistic’, he intended the term to refer to the healthy introversion that is essential to artistic, philosophical and religious thought. 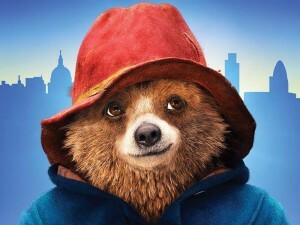 When the film “Paddington” (http://www.imdb.com/title/tt1109624/) came out, we watched it as a family who had been brought up (over generations, now) on Michael Bond’s “Paddington Bear” and AA Milne’s “Winnie-the-Pooh”, and generally we felt that this film version had brought some of the book authentically to life. However, I was surprised by the reaction of my own little bears. My eldest child, who has completed her studies in archaeology and museum studies, was horrified that the film had ‘traduced her people’ (she even made a protest poster), ‘her people’ being the museum staff, who had now become the villains. My youngest child went even further in identifying with the kick-arse villain Millicent and marched up to the hairdresser with a photograph of Nicole Kidman’s hairstyle, insisting that her lovely, long, girly tresses be lopped off to emulate her new hero. (She was 12, so this surprised the hairdresser as much as me). The story – especially a gripping and empowering story like Millicent’s in Paddington – is what makes good fiction into moving fiction. My children, both girls, felt a strong sense of belonging with a powerful woman villain, storied with experiences that they could reject or accept as part of their own lives. Autistic people know that we are different from others, and somewhere in that 1% is a sense of belonging, which Christopher (like undiagnosed adults) is searching for.